Over 6000 feet above sea level, in the stunning natural beauty of Guatemala, not far from volcanoes, rainforests and ancient Mayan sites, an incredible moment of history was created, with the momentum to have a ripple effect to potentially over 400 million people across the world. All it required was the simple press of one button. But it was so much more than just that. His Holiness launches the Spanish edition as (from left to right) Faiz Ahmad, Latin American Coordinator; Amer Safir, Chief Editor; Tarik Munim, Spanish Editor; and Marisa Losa, Assistant Spanish Editor, look on. His Holiness, Hazrat Mirza Masroor Ahmadaba, worldwide head of the Ahmadiyya Muslim Community, came to the beautiful country of Guatemala for his first-ever visit to Central America to inaugurate Nasir Hospital in Sacatepéquez. This stunning hospital was built by Humanity First, an international charity started by the fourth worldwide head of the Ahmadiyya Muslim Community, Hazrat Mirza Tahir Ahmadrh. 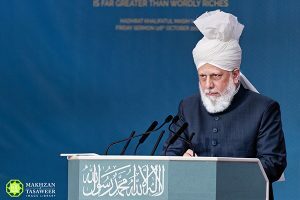 This itself was a remarkable achievement, but at the end of the hospital inauguration, His Holiness arrived in the press conference marquee to establish yet another milestone in the history of the Ahmadiyya Muslim Community. 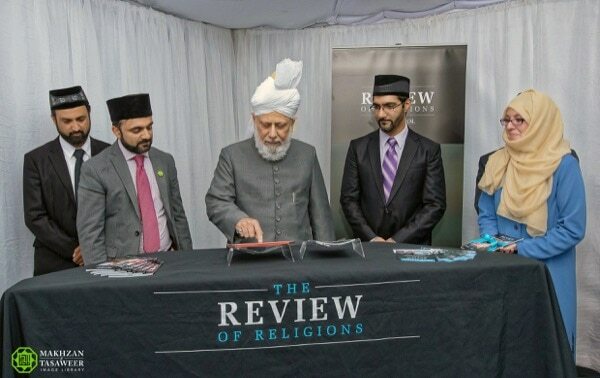 For, with the press of the red button on an iPad, His Holiness had launched the new Spanish edition of The Review of Religions – the magazine started by Hazrat Mirza Ghulam Ahmadas, whose claim was to being the Promised Messiah and Imam Mahdi, the Promised Reformer and Guided One whose advent had been prophesied by all major religions in the latter days. The online version of the Spanish edition of The Review of Religions is now available at es.reviewofreligions.org. Think back to 1902, when Hazrat Mirza Ghulam Ahmadas started this magazine. 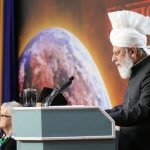 He had the unique vision of spreading Islam – the true Islam – to the people of the West and removing misconceptions of the religion from their minds. He said he had come to reinstate its original teachings and that this magazine would be one of the means to help towards this goal. For many years he penned articles especially written for The Review of Religions. He also serialised his newly written books in it; he published his prophecies in it; he announced his revelations in it. In that early period, The Review of Religions reached unparalleled heights. It gained widespread fame and was often quoted by Western newspapers, magazines and academics. The companions of Hazrat Ahmadas such as Hazrat Mufti Muhammad Sadiqra and others would take The Review of Religions and use it as a primary instrument to help spread Islam to the Western world. Count Leo Tolstoy, considered one of the greatest writers of all time, learned of the message of Islam Ahmadiyyat through The Review of Religions. The very first pioneer converts to the Ahmadiyya Muslim Community of Mauritius, the second Ahmadiyya Community established outside the subcontinent after the U.K., learned of Islam Ahmadiyyat through The Review of Religions. 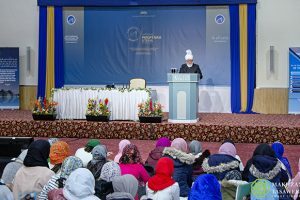 On October 19, 2018, His Holiness, Hazrat Mirza Masroor Ahmadaba delivered a Friday sermon from Philadelphia at the inauguration of the first purpose-built mosque in the ‘city of brotherly love’. Philadelphia is the city where Declaration of Independence was signed. 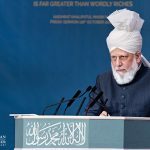 In the historic Friday sermon, His Holiness mentioned an intriguing detail: that the first Ahmadi Muslim convert in the city of Philadelphia, Dr. Baker, learned of Islam Ahmadiyyat after reading The Review of Religions. Later His Holiness visited the recently discovered grave of Dr. Baker located a few minutes’ drive from the new mosque and offered a silent prayer. This is just one of many examples of how The Review of Religions pioneered missionary and outreach efforts to spread the message of true Islam in different parts of the world. 10th June 2018. This date will forever remain an important date for the Spanish-speaking world. The Review of Religions team from various departments had the honour of an audience with His Holiness. Other foreign-language edition teams were also present. During this meeting His Holiness set out a revolutionary blue print for the future of this esteemed publication. He explained to us how to gear content for Africa, how to use social media effectively, how to approach contemporary issues and how to conduct academic research, along with many other gems of guidance. Later I had the honour of a private audience with His Holiness where further guidance was given. Tarik Ataul Munim from Cordoba, Spain, was appointed as chief editor of the new Spanish edition. María Isabel Losa Serna, originally from Spain but now living in the UK, was appointed as deputy editor. Faiz Ahmad, who lives in Guatemala, was appointed as the Latin American coordinator. His Holiness had a clear vision for the Spanish edition and we were blessed and humbled to witness that vision coming to fruition. 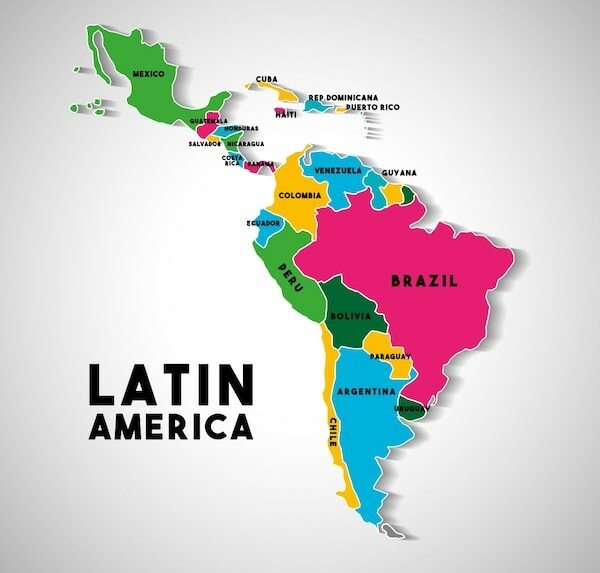 A few hundred million people live in Central and South America. 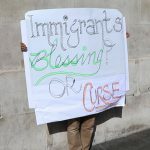 The Spanish edition will allow The Review of Religions to reach these readers. 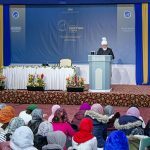 His Holiness decided that he would launch the Spanish edition in Guatemala at the inauguration of the Nasir Hospital by Humanity First, and instructed that the first edition should all be based on service to humanity based on Islam to give a direct link to the hospital opening. The new Spanish The Review of Religions team worked closely with the central The Review of Religions content, design and IT teams to produce the first print edition of The Review of Religions, along with its website and Facebook page. We also received great help from Humanity First whose support we are obliged to commend in helping us obtain content and photos for this first edition and giving us access to the hospital weeks before to conduct interviews. After arriving in Guatemala His Holiness would regularly ask about the launch of the Spanish edition. 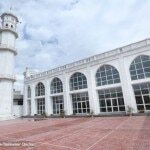 One evening prior to the launch, he visited the Ahmadiyya Muslim Community’s Baitul Awwal mosque in Guatemala. A large delegation from South American countries were blessed with a sitting with His Holiness in the mosque. María Losa was sitting at the back and His Holiness at one point spoke to her and asked her in detail about the work she had been doing since she arrived. After delivering his historic address at the Nasir Hospital inauguration, His Holiness arrived at an area where the press were waiting and where we had prepared a small area for His Holiness to press the launch button, initiating the new Spanish edition website. María Losa also handed His Holiness a gift-wrapped first Spanish edition. Tarik Munim and Faiz Ahmad were also at hand. As His Holiness reached the iPad and was about to press the button, I could hear him reciting a prayer in a low voice. That in itself was a very spiritual moment and put into context the task ahead. God only knows what the future entails, but this is certainly the start of something special and historic. 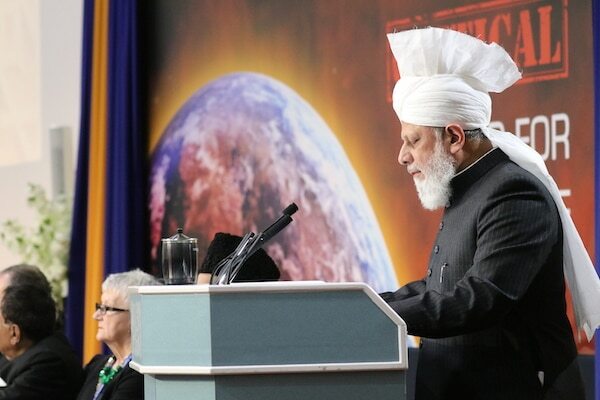 It was the vision of His Holiness to reach out further to the Spanish-speaking world and further the aims of Hazrat Mirza Ghulam Ahmad, the Promised Messiah and Imam Mahdias.